Accommodation sharing giant Airbnb is taking off in Africa. Its rapid growth into a market that has little precedent for such a service is starting to show up some problems that countries, markets and industries already familiar with the home-sharing website have been grappling with for quite some time. As the hospitality market on the African continent grows due to economic prosperity and increased travel to the area, Africa has seen a new influx of millennial travelers who are often responsible for generating the demand for sharing accommodations such as Airbnb. As a result of Africa's new popularity, the region has become one of the fastest-growing areas for Airbnb. 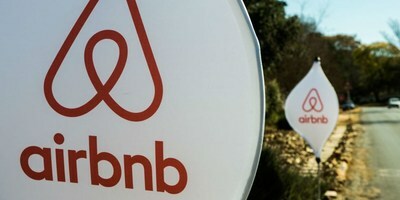 Airbnb reports 100,000 listings that have provided lodgings for more than 2 million travelers in just five years. Spurred on by these encouraging statistics, Airbnb has also pledged an investment of $1 million into grassroots tourism projects over the next year. So what are the downsides to this kind of tourism in Africa? Well, they are not so different to the problems that have surfaced in other areas when Airbnb comes to town. On the one hand, on a continent where employment opportunities are sometimes hard to come by, the extra income afforded by renting a room on Airbnb is a welcome bonus for homeowners and tenants. But this has the effect of pushing up house prices and rents in areas that are popular tourist destinations. And then, of course, there is the effect on the hotel industry in general. Many young travelers won't even consider a hotel if there are Airbnbs on offer, and this leaves hoteliers and developers in the lurch in a time when their investment on the continent was seen to be a sure thing given the growth of tourism in recent years. They are unhappy with the new competition, who they feel are not playing by the rules. There are also certain grey areas in Airbnb's operation that are not going down well with authorities. While it is not illegal to rent a room on the sharing site, entire houses or blocks of apartments cannot be listed, and the presence of illegal listings in desirable, beachside locations is resulting in raids and crackdowns by local forces. Tourism boards do not like unregulated properties, and it remains to be seen how far this stand off between Airbnb rentals and local enforcement officials will go. More information on African hotel projects can be found on TOPHOTELPROJECTS, the specialized service provider of cutting-edge information of the hospitality industry.